NOVAGOLD was eager to highlight the unique aspects of their mining projects Donlin Gold and Galore Creek. They also wanted to place a strong focus on their commitment to communities in the area and display how their efforts go above and beyond just the mandatory corporate responsibility. NOVAGOLD’s story is truly unique, and we were faced with the exciting challenge of crafting a web experience that not only displayed their prestige as a company, but also the fresh aspects that set them apart. We knew the homepage had to be unlike any in its sector, and that the CSR page needed to have that little something extra to really make it resonate. The CSSDA is an international web design and development awards platform that honors and showcases freelance designers, studios and agencies for work that pushes the boundaries of creativity, functionality and usability. We’re honoured to accept the CSSDA Special Kudos award for the NOVAGOLD website redesign! 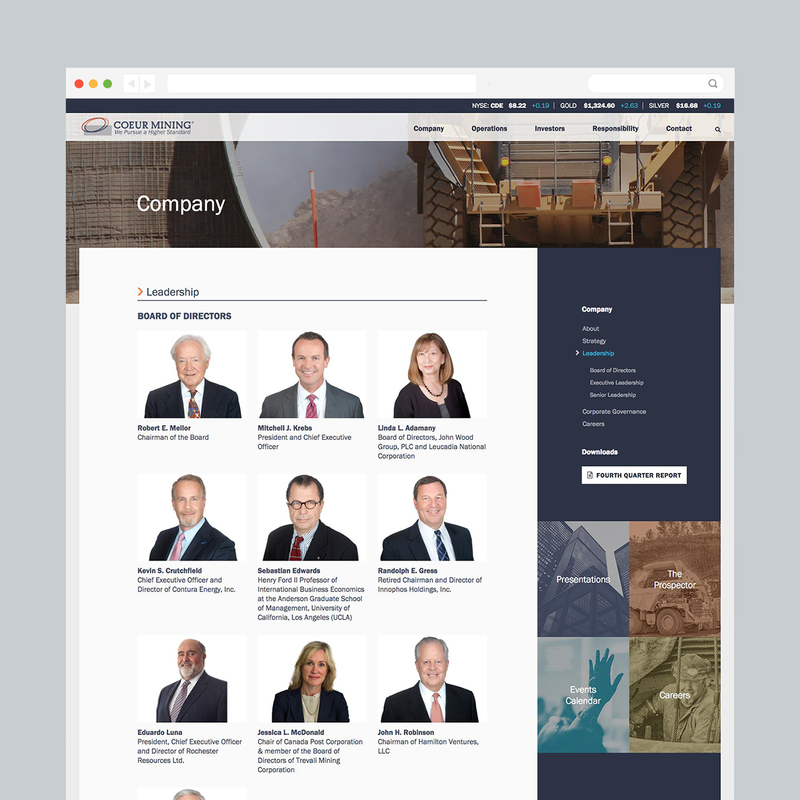 Homepage design that reflects their stature as a prominent company in their sector. Creation of an overarching ‘We Care’ section to emphasize their commitment to communities. Properties section that highlights their assets with an interactive map to illustrate each project’s specific location. 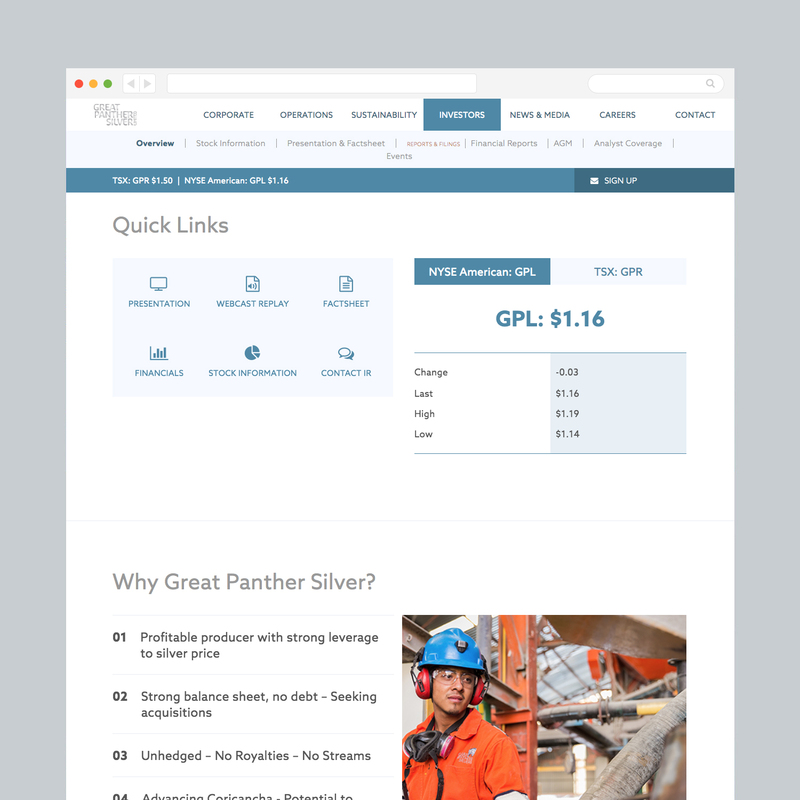 Custom designed Gold & Mining section to educate investors about the industry. 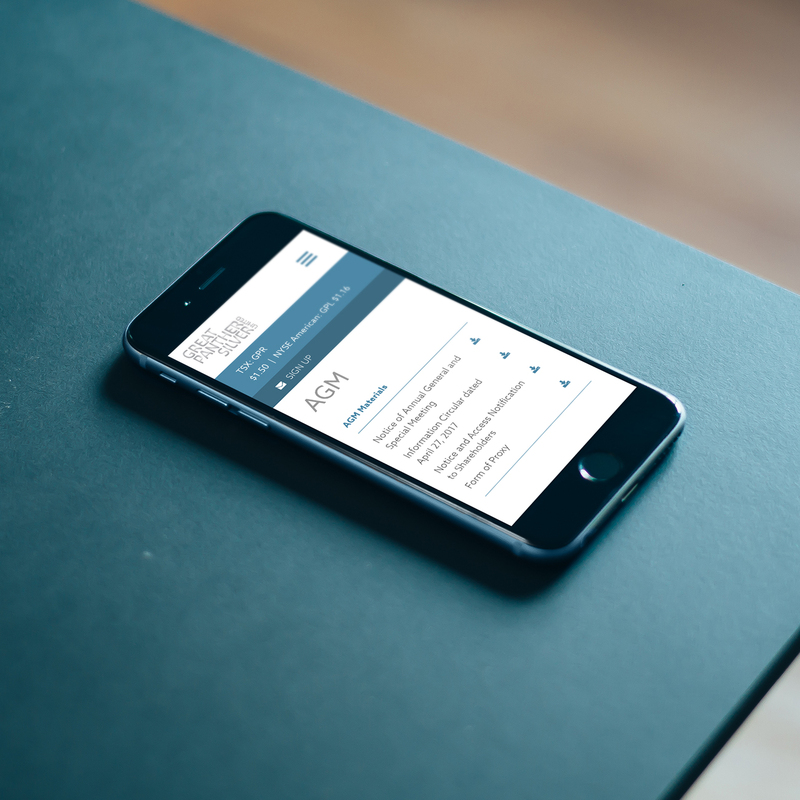 NOVAGOLD’s story is unique and as one of the Company’s primary communication channels, we sought to develop a website that left a lasting first impression. 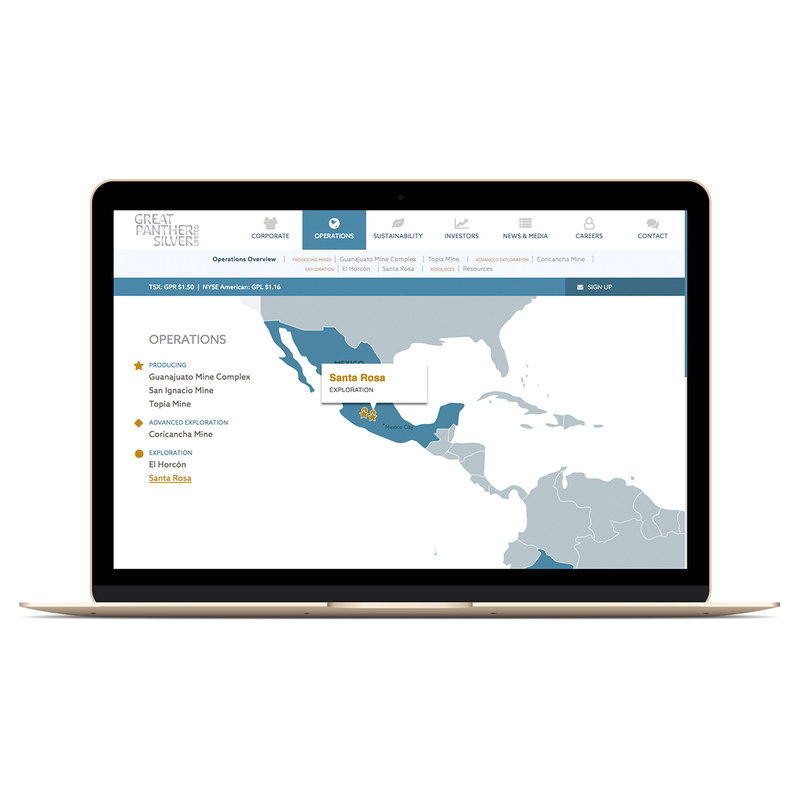 Blender’s expertise in design, IR best practices, and innovative solutions gave us confidence that they could develop a website that set us apart while capturing NOVAGOLD’s brand, focus, and core values. We were not disappointed. Providing fresh energy and drive, their team fully dedicated themselves to our project ensuring that they met all of our needs and expectations. 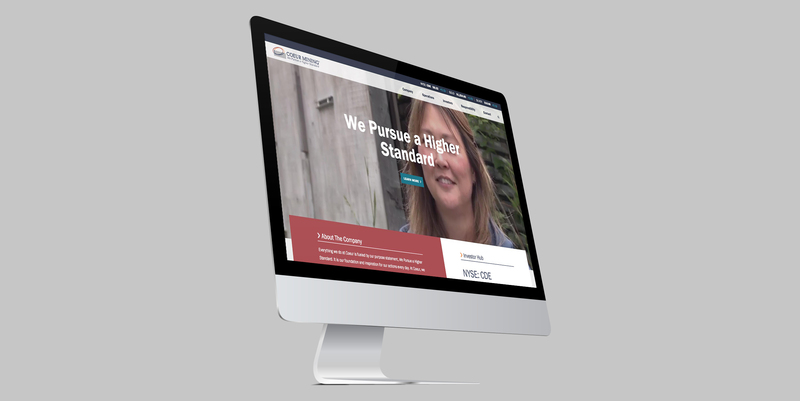 It was a true collaboration that resulted in a website that we are proud of. After only two months, direct website traffic increased substantially with improved levels of engagement on the new site by the length of time spent and number of pages visited per user. 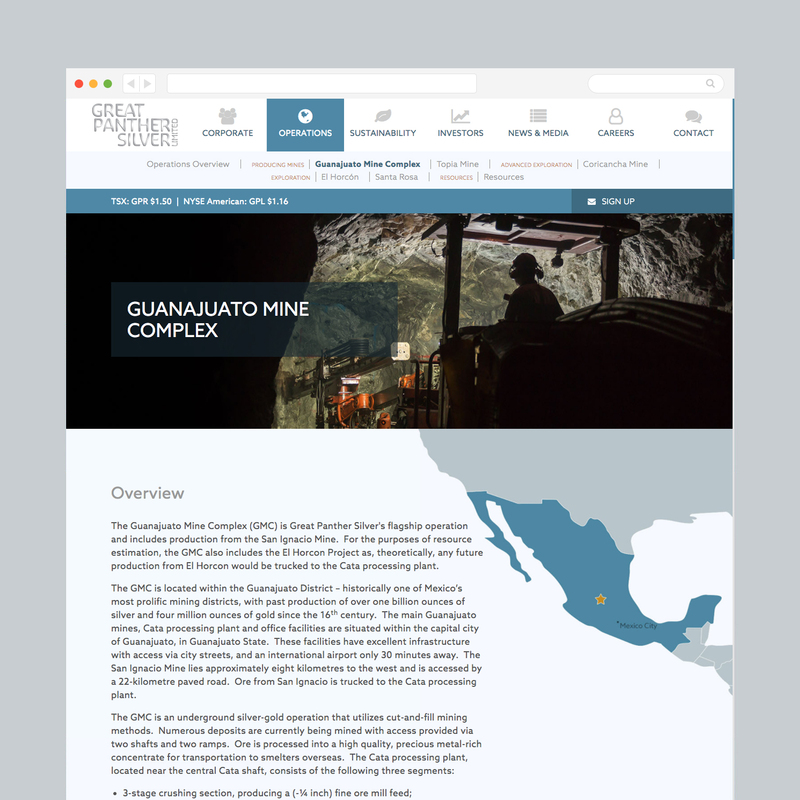 When SSR Mining came to us for a website redesign, they had recently become a multi-mine producer with the acquisition of a large Nevada gold mine. With freshly pumping veins running through multiple continents, the company needed a brand refresh and a website that reflected their growth and stature. For this project, it was important for us to showcase every aspect of the company to the highest possible standard. 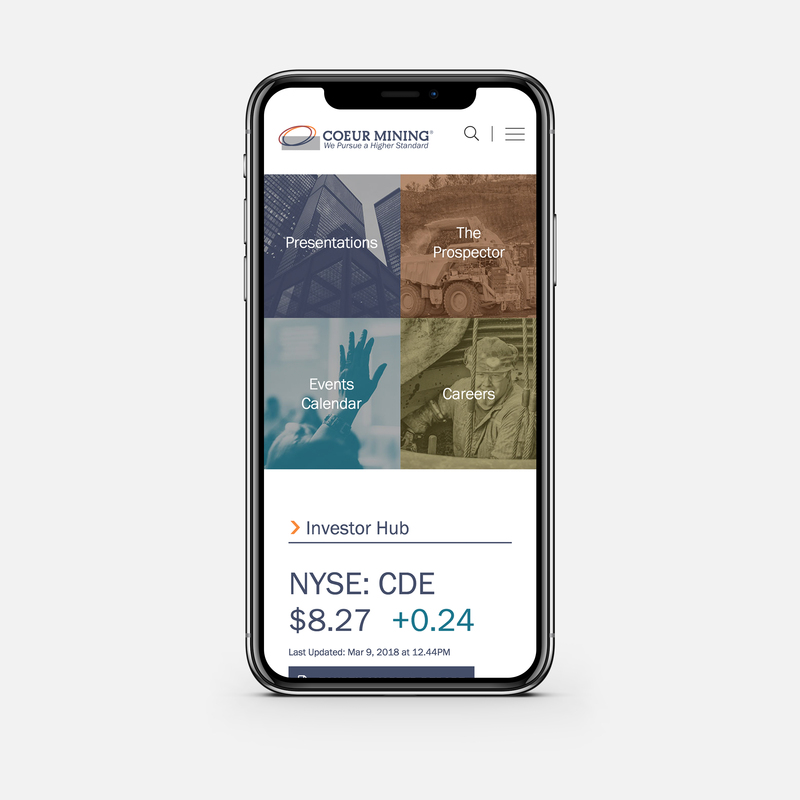 We focused on creating a site with an optimal user experience that appealed to both casual browsers and potential investors. The Interactive Media Awards recognize the highest standards of excellence in website design and development. The competition, founded by a nonprofit organization, is designed to elevate the standards of excellence on the Internet. We’re proud to accept the award for Best in Class investor relations website for our work on the Silver Standard website redesign. Custom design for each page of the website. Addition of interactive elements across the site including a project map highlighting their assets. Overall restructure of sitemap and information architecture to streamline navigation and improve user experience. Revision of investor and corporate responsibility sections with clear categories.